Aches and pains the bane of your life? Joint and muscle aches and pains will affect everyone at some point. Whether you have tweaked a muscle whilst working out or if it is just the general wear and tear that happens to our bodies over time as we go through life. Even if you just feel a bit stiff when bending over to pick something up, sore muscles and joints can have a real negative effect on your standard of living. The simple solution to this pain is medication but there are also negative side effects to living a life constantly on pain killers. Using a natural solution that has no side effects is what you should be using instead. Electrostimulation is exactly that. Electrostimulation is based on the principle of the imitation of impulses that happen in your body, that are transferred to nerve and muscle fibres via electrodes placed on your skin. These impulses can supress pain by blocking the pain signals that come from the nerves. You can use electrostimulation as a way of treating pain in your own home using the Beurer EM49 Digital TENS/EMS Unit which combines two methods of electrostimulation, transcutaneous electrical nerve stimulation (TENS) and Electrical Muscle Stimulation (EMS). What an EMS machine does? 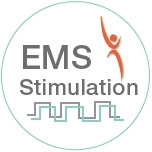 EMS is similar to TENS but effects your muscles instead of your nerves. It is a widespread and well recognised treatment and has been widely used within sports medicine and rehabilitation. If you have had any type of injury then EMS can be used to complement conventional rehab and muscle training to help build and improve the strength of your muscles which can reduce the pain associated with injuries. As well as improving the strength and condition of your muscles EMS can also improve the aesthetics of your muscles, which can never be a bad thing! There are two types of EMS application: one is for specifically targeting the strengthening of the muscles (activating application) and the other aims to achieve a relaxing effect (relaxing application). Relaxing application- muscle relaxation for easing muscle tension and fatigue. Also accelerates the regeneration of muscles after intense exercise. An EMS machine is ideal for older people that find exercises hard as it can quickly lead to muscle wastage which then makes exercise even more difficult and can cause you to develop pain in your joints as well. This can quickly become a vicious circle that can be hard to escape. As you can see both TENS and EMS both have effects that would be beneficial to a lot of people but choosing which one to buy may be a stab in the dark. Well the Beurer EM49 takes that issue away. Combing both forms of treatment it makes the Beurer EM49 perfect for everyone, from people suffering a few minor aches to those recovering from serious muscular injuries. Thanks to two separately adjustable channels the Beurer EM49 gives you the advantage of being able to set the intensity of the impulses through the electrodes independently of each other to allow you to treat two areas on the body simultaneously which can help save you time, meaning you will be more likely to do your treatment. 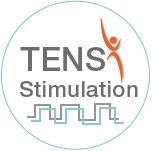 The digital EMS/TENS unit features a total of 70 different programmes (15 TENS programmes, 35 EMS programmes and 20 massage programmes) that are all individually tailored to address different issues. The intensity of each programme can also be adjusted so that you remain comfortable throughout your treatment. It also includes 6 ‘empty programmes’ which can be used by your physician to make a programme specifically for you as part of your treatment. 35 Different EMS Programs, 15 Different TENS Programs and 20 Massage Programs.